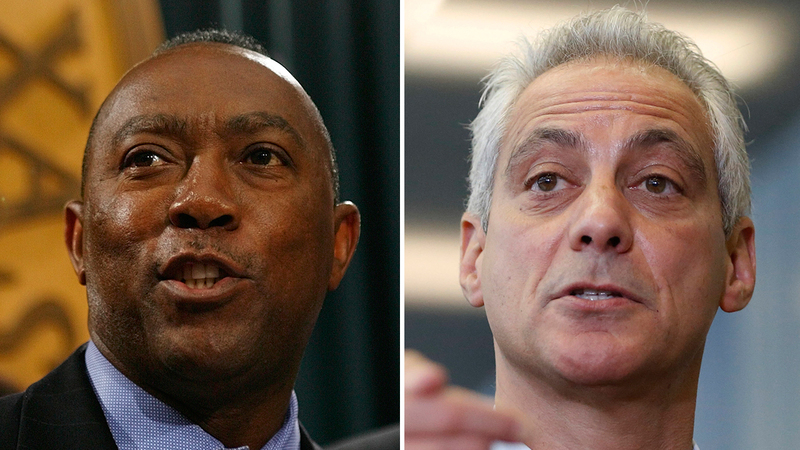 HOUSTON (KTRK) -- Houston Mayor Sylvester Turner made a "friendly wager" on Twitter today with Chicago Mayor Rahm Emanuel over this weekend's games between the Houston Texans and the Chicago Bears and the Houston Astros and the Chicago Cubs. As Turner outlined in one tweet, each baseball game is worth one point and the winner of the football game gets two points. At stake? Pizza for Houston if we win and brisket for Chicago if they win. Emanuel accepted the wager, and seems a bit confident in the whole thing, tweeting, "You're on. And we're hungry!" We'll be following the wager and will have the results as they become available. Hey @ChicagosMayor. Your @ChicagoBears and @Cubs are in Houston to play my @HoustonTexans and @astros. How about a friendly wager? @SylvesterTurner @ChicagoBears @Cubs @HoustonTexans @astros We’ll take that bet, but are you sure you want to make it? What’s the deal? @ChicagosMayor Each baseball game is worth 1pt. Football game= 2. If you win, we'll send brisket. If we win, you send deep dish pizza. Deal?
. @SylvesterTurner You’re on! And we’re hungry!